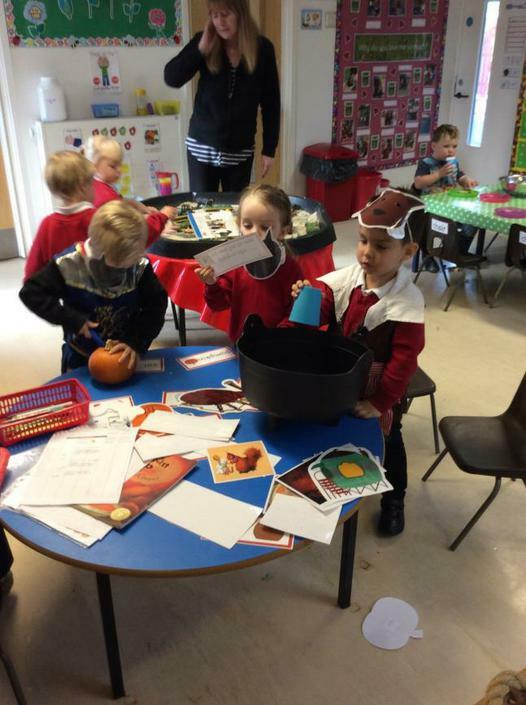 On Monday visitors from Heath Church came into school and helped celebrate the Harvest. 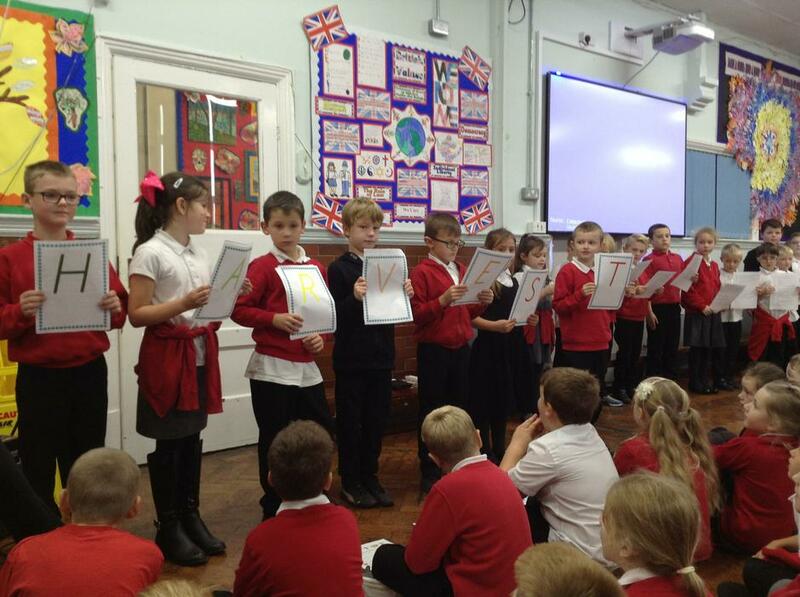 Classes each performed an activity based around the Harvest for the rest of the school. 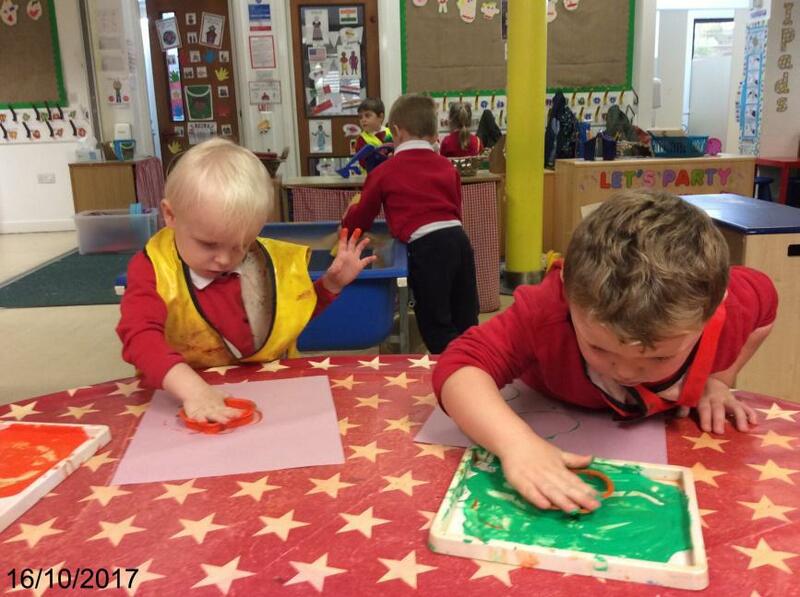 After school on Monday and Tuesday parents joined staff to discuss how well their child had settled into their new class and the progress they have been making. 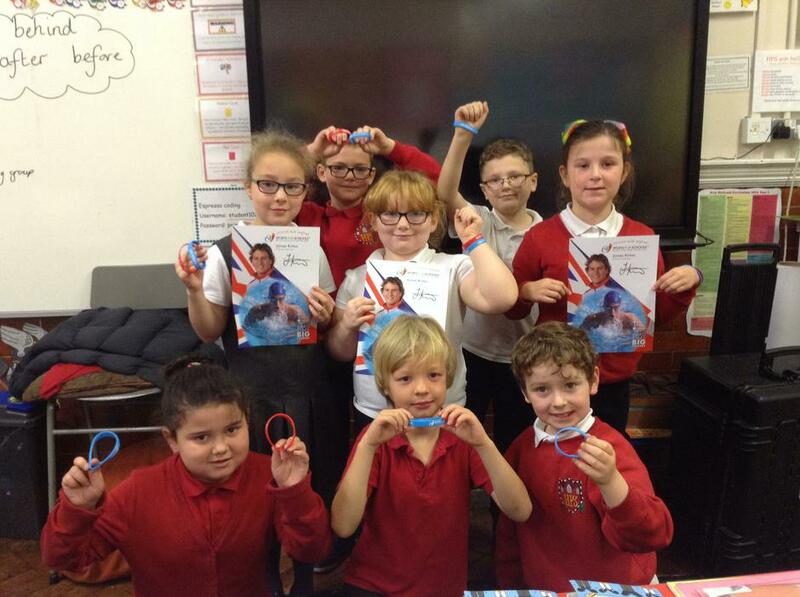 Mr Rickles came into classes on Wednesday to give out bands and signed photos linked to our fund raising sponsoredevent. The choir performed at the Winding Wheel on Thursday evening. 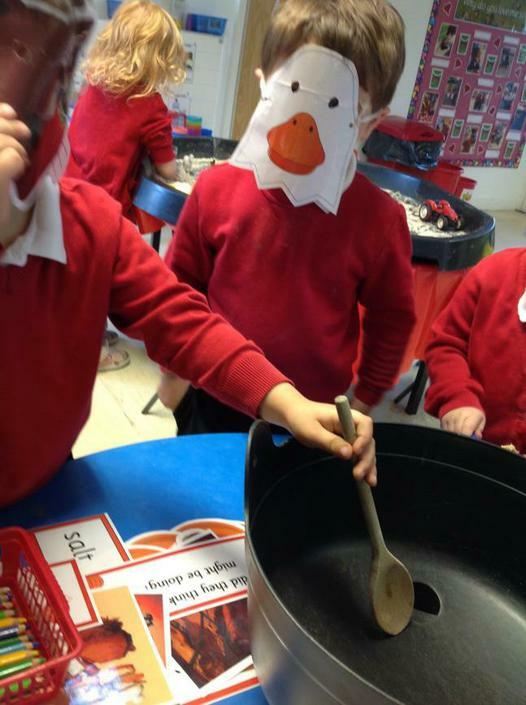 Mrs Horton was really impressed with the childrenand enjoyed performing herself! 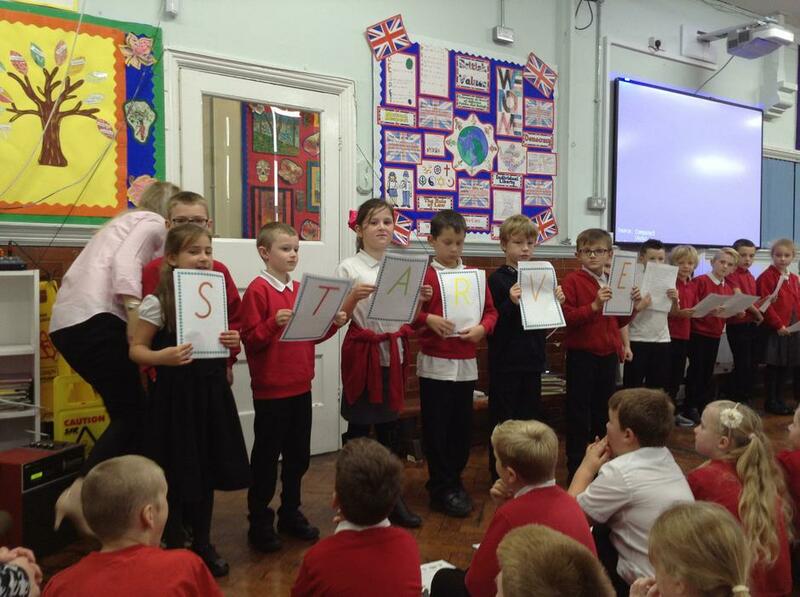 During Friday’s celebration assembly new Super Stars were revealed and attendance awards given out. 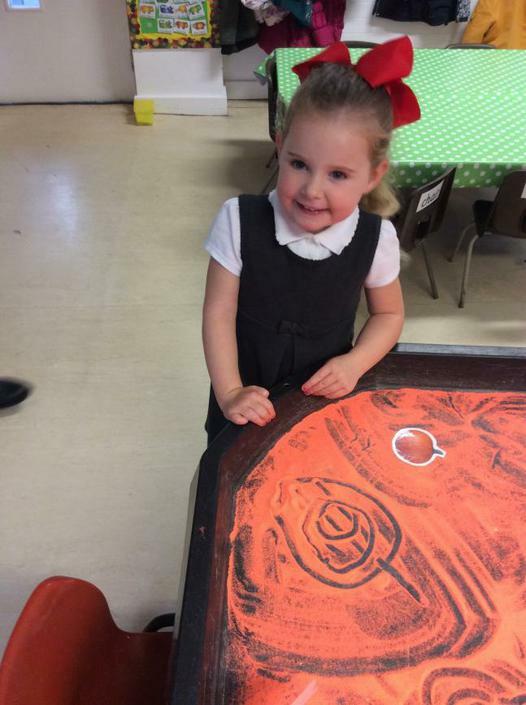 After reading the story “Pumpkin Soup” the children in Nursery took part in a range of pumpkin related activities. They retold the story using props, masks and picture cues. 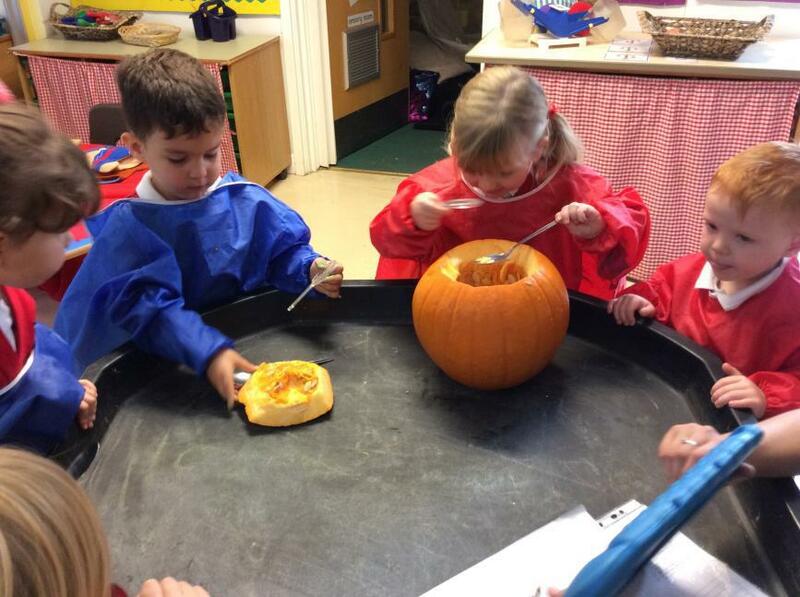 The children enjoyed investigating pumpkins. 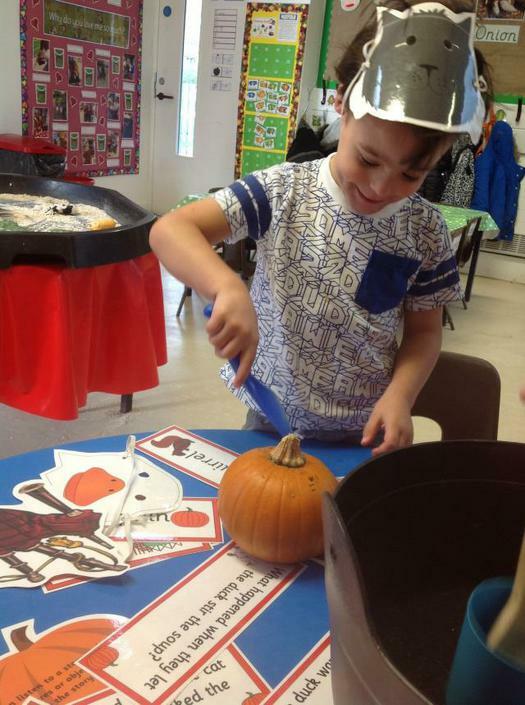 The top was cut off and the children explored using their senses. 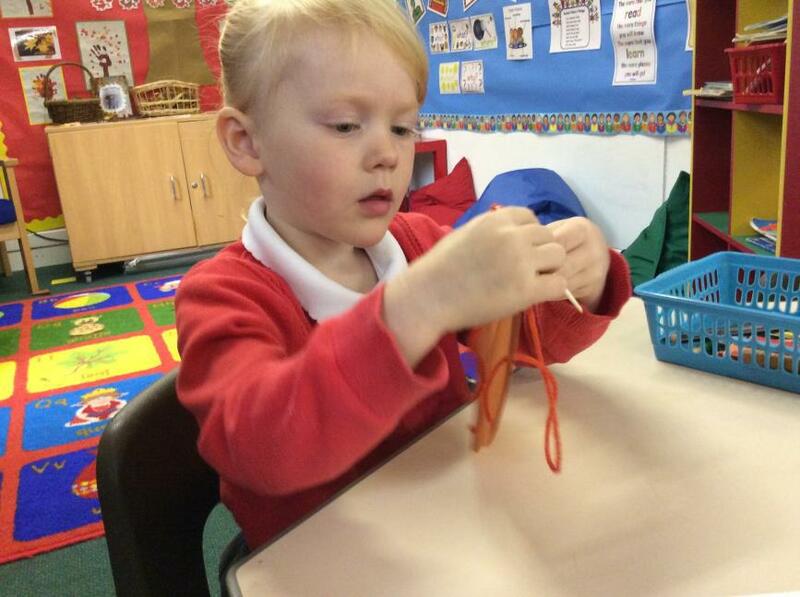 They threaded around pumpkin shapes to help to develop fine motor skills. 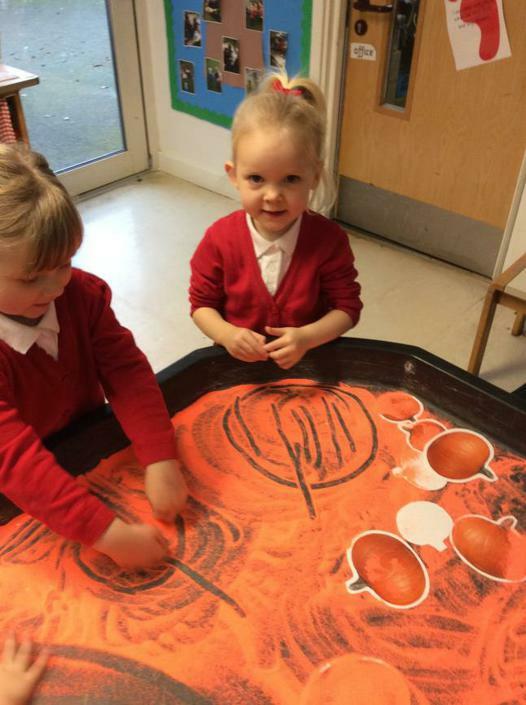 They printed using pumpkin shaped cutters and drew pumpkins in orange sand.